hello Trance2MoveU thanks for checking this release! "Goa Trance Timewarp" is not exclusive compilation that contain only new unreleased tracks like "The Call of Goa" or "Colors of Goa", it is series of compilation like "best of" timewarp from our digital catalog since the beginning, tracks that never appeared on CD format selected by some of our DJs and others. Every DJ is fully free to select 9 or 10 tracks what only he think is best or what he likes most from digital catalog. The whole idea is to release some tracks what compiler thinks are good and maybe deserve to be on CD, also to give some new artist extra promotion and for him self as a DJ. This is good way for some fans and other DJs who dont buy so much digital releases and wants some great tracks from catalog on CD for collection. cheers! OUT NOW!!! Goa Meditation vol. 2 Compiled by Sky Technology Buy CD: Psyshop: https://bit.ly/2Hl7uw2 Goastore: https://bit.ly/2Ho5u21 Digital Pre-order: Beatport: https://bit.ly/2HSx9ct Amazon: https://amzn.to/2vGUrQc GooglePlay: https://bit.ly/2JkyfgI CD1 01 - Fiery Dawn - Rain 02 - Pandemicus - Pathology 03 - Spirit Medicine - Reversible Transcendence 04 - Haitaka - Ice Cave 05 - Shankey - Infinity In Infinity 06 - Sky Technology - Sacred Place 07 - Ufomatka - Sunrise On Venus 08 - Sphirala - Water Ways 09 - Proxeeus - Mad Kuranes 10 - Abstract Concepts - Astral Pulse 1997 CD2 01 - Ethereals - Muad`Dib 02 - Trikselos - Mysterious Galaxy 03 - Dreaming Cooper - Space Station 04 - Unusual Cosmic Process, Psypheric - Croaton (U.C.P Remix) 05 - Psychoz - Intergalactic (Remix) 06 - Sky Technology - Green Rain 07 - Katedra - Memories Of The Future 08 - Psychoz - Evergreen 09 - Saki - Shanti Shaman 10 - Sky Technology - Shamanic Dream (Tara Putra Remix) 11 - France Gosoo - Paramatka Timewarp Records has achieved inner enlightenment through the well-known practice of calming the body and mind to attain the healing Alpha Wave state generated during Meditation and now returns with volume two of this quintessential new series quite aptly titled “Goa Meditation”. Label artist Sky Technology gather his mystical forces to compile the next chapter. This deeply soothing mind body excursion features top PsyChill and Sloa Goa Midtempo compositions inspiring the theme and extending the concept across many disciplines of Downtempo Ambient Breakbeat and even hints of Psy Bass and Chill Step Psybient. He discovered and presents a perfectly balanced selection of artists and songs that communicate our philosophy and mission perfectly. 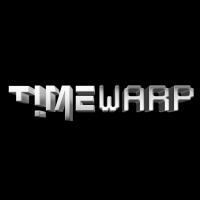 Expect great music from returning Timewarp regulars as well as a great variety of artists new to the label. Dmytro Kolosovskiy aka Sky Technology is well known Ukraine psychedelic trance producer who comes from Kiew, born in 1982. His main style is melodic goa trance, tracks with powerful beat, full of energy, ethno motives, spiced all with acid sounds. He also makes very powerful and emotional downtempo-ambient music. So far he has released couple of EP, 2 full length albums, numerous tracks on various compilations, he has done also some compilations. From this talented artist we can expect soon to be released new downtempo album and singles.
! !OUT NOW!! PSYSHOP Beatport 01. Out of Time 02. Flowless Mind 03. Psychotherapy Timewarp is honored to welcome back this amazing sound sculptor, Psychedelic Quest, presenting more is brand new EP with 3 killer new tracks. His music will take listeners on a wild ride across the cosmos with a soundtrack from the future which will stoke memories of legendary goatrance vibes rarely found. Leonidas Giotis is the man behind the Goa Trance Project, Psychedelic Quest. He started his experience into electronic music, in the background of the 90's, with techno and house tunes for then, and from 1994 he began to explore the Psychedelic Trance Culture, along with the great Goa and Psychedelic Parties, at Battery, Alsos, Camel, and Soda, etc, and the first party teams for then, such as Sunrise Zone, Amorphia, Trancemedia, etc. He made his first steps generally, in the faze of electronic music, in the early of 2000, with some poor since then musical experience, about the sound and the music in general. He played dj sets with his project in some Goa and Nitzcho parties in Greece, featuring old school Psychedelic and Goa Trance sounds, as it concerns his own style of producing this kind of music. He has made some digital releases in net labels, with Nitzcho and Goa Trance sounds, plus one official release in a Turkish label. He has also a free release, of his first Goa Trance Album, with the title, Alternate Constellations. Now he joined the forces of Timewarp Records with his debut EP, Unusual Chemistry, with 3 killer tracks and his second release Morning Trip continues his story. Thanks for the support! Full preview available now on official Timewarp YouTube channel! Enjoy! Full preview available now on official Timewarp YouTube channel!
! !OUT NOW!! PSYSHOP / BEATPORT BANDCAMP 1. Fiery Dawn Ft. Omneon - Dancing Fire 2. Fiery Dawn - Electro 3. Fiery Dawn - Kundalini 4. Fiery Dawn - Nightfall 5. Fiery Dawn - Searching For UFOs 6. Fiery Dawn - Tartarus 7. Fiery Dawn - Wings Of Fantasy 8. Fiery Dawn - Magus 9. Fiery Dawn - Flying To Infinity Timwarp and Ovnimoon Records is delighted to present a genuine Goa Trance album from one of the great up and coming new masters of this classic style, Fiery Dawn aka Giorgi Shavgulidze from Tbilisi. This stellar label team up with Nova Fractal from Timwarp and Ovnimoon from Ovnimoon Records has these two A and R agents wrestling over who gets to release this amazing music voyage. So the winner is, Both Labels release it... thats right... no special reason other than its Super Awesome! OUT NOW!!! Median Project- On Saturn (timewarp068 - Timewarp) Band Camp: http://bit.ly/2B1tOHl Beatport: http://bit.ly/2B0GtKW Psyshop: http://bit.ly/2koXur0 Spotify:http://spoti.fi/2iXC6ZF Amazon: http://amzn.to/2AT3Aqn GooglePlay:http://bit.ly/2kpmmPe JunoDownload:http://bit.ly/2iX820i 01 - Median Project - At Speed 02 - Median Project - Cube 03 - Median Project - On Saturn 04 - Median Project - Reality Of Life (Median Project Remix) Timewarp Records is very excited to present this special EP from one of our favorite new label artists, Sergei Petrenko aka Median Project. This four track EP entitled ""On Saturn"" aims at guiding you on a full featured tour of our cosmos starting right here on the outer ring of Saturn. The final chapter, a stellar remix of Nova Fractal's ""Reality Of Life"" really takes the cake. You can check out the samples on Psyshop ! !